While recently chatting with John Boorman about his latest (and perhaps final) film Queen and Country for a San Francisco Chronicle feature, the talk turned to Hell in the Pacific. 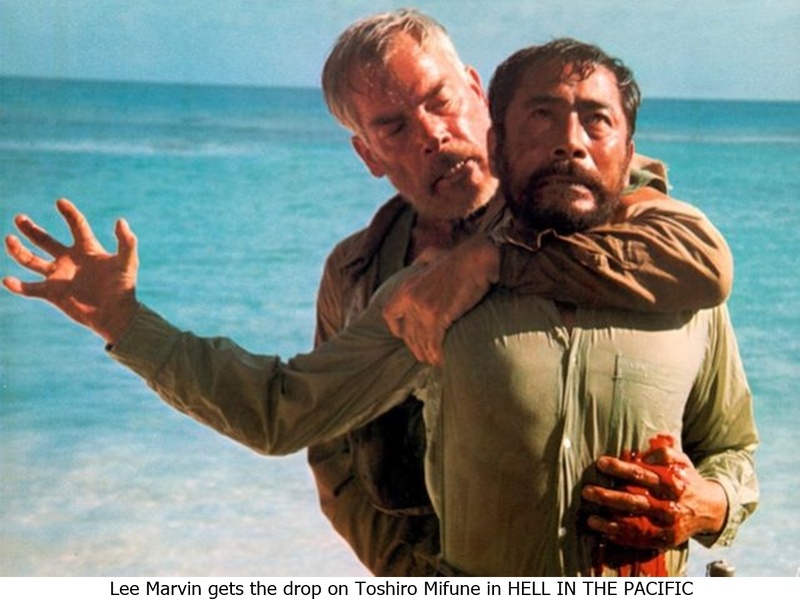 Made in 1968, a year after the tense, striking, wholly inventive thriller Point Blank established him as a directing great, the World War II drama starred the earlier film’s lead Lee Marvin and iconic Japanese leading man Toshirô Mifune as enemy soldiers stranded together on a deserted South Pacific island. It was a fraught shoot. Boorman and Marvin experienced real terror shortly before filming commenced when a plane they were on nearly crashed into a volcano. The director cut his knee and it became badly infected. Mifune, an actor Boorman had admired in so many Akira Kurosawa films, refused to take direction. Looking back on it, Boorman describes Hell in the Pacific, which was shot on the Pacific Ocean island of Palau, as a kind of teaching moment that began when he was in Tokyo working on the script and realized that that he did not have an ending that satisfied him. He saw Kurosawa and explained the problem. Did the legendary auteur have any ideas? Even if Mifune had been more cooperative, Marvin hadn’t been working through the trauma of returning to the same area of the world where he’d fought (and nearly been killed) during World War II, and his leading men could actually understand each other’s language, Boorman realizes in retrospect that the shoot still would have been challenging. And it didn’t need to be. “I shot it on a very, very remote island,” he says. “We lived on a ship and went to work on this beach every day in a tank landing craft. I could have shot it in Hawaii and lived in a comfortable hotel. I’m not as foolish as that anymore.